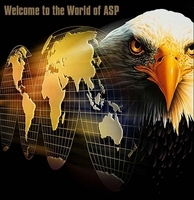 One of the most renowned brands in the self defense industry, ASP products are the gold standard when it comes to reliability and performance. If you are looking to improve your safety, there is nothing better to have at your side every day. Look through our wide selection of ASP self-defense items and get the perfect match for your lifestyle and needs so that you can live confidently and without worry every day. We are proud to provide the best of the best when it comes to safety and security, and we will help you find the right tools for you. When it comes to non-lethal weapons, batons have quickly become one of the most popular options for self-defense. Used by police, security, and military personnel around the nation, they provide extended reach and increased striking power in seconds, while also being fairly easy to learn. There are many batons in our collection of ASP products, and they are known for being the top picks on the market. Specifically designed to give veterans the self-defense they desire while also being especially easy to use and lightweight, they are the perfect option for people looking to take their safety to the next level. There are also many other tools that can help you get the self-defense you need. Find handcuffs, pepper spray, training weapons, holsters, and more within our great collection of ASP products. This is a manufacturer that is dedicated to quality and performance, and you can be sure that every item in this list is as effective and reliable as the last. When you have the best at your side, you can live without worry and enjoy your favorite activities anytime, anywhere. Perhaps one of the best features of ASP is their extensive training programs that cover proper use of their various self-defense tools. If you are a newcomer looking to improve your safety, make sure you are well prepared to use your product of choice in a crisis by taking the proper training. This can help minimize any risk of accidents while also maximizing your chance of successfully escaping a threat, ensuring your well-being every day.